The contest closes at midnight EST on December 1, 2016. Enter as many times as you wish (there’s no fee). Amateur photos only, please. 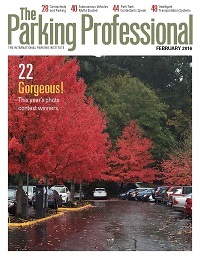 All winning photos will be published in The Parking Professional and the Best in Show shot will be featured on the cover. Send your photos to photocontest@parking.org. Questions? Email fernandez@parking.org. Now get out there and get snapping!